Dirt City Roller Rats vs. Badfish Roller Derby. 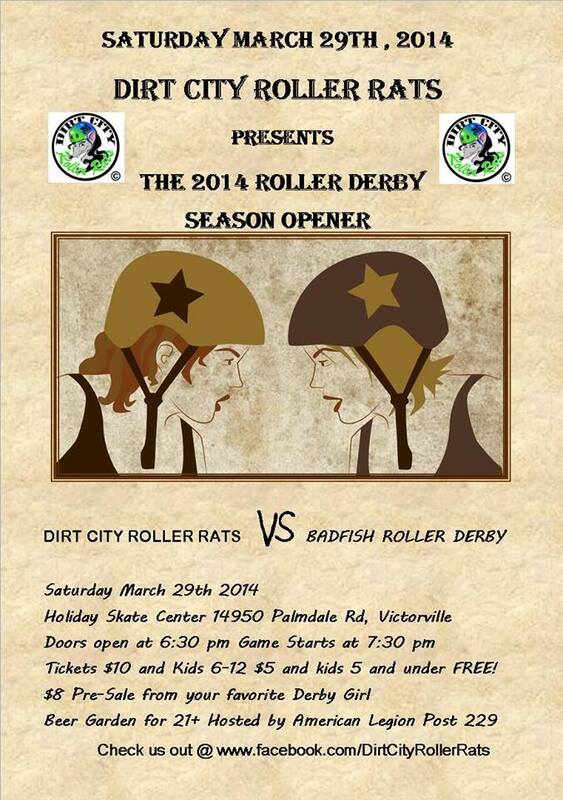 We travel to Victorville for Dirt City’s season opener! Map and contact info below!